192 left in stock, Hurry! Save time and avoid the hassle of having to worry about two separate parts by purchasing one of these handy combination tattoo foot pedal and clip cord units. Each cord measures 6 feet long (~1.8m) and has two aluminum banana plugs attached to the end of it. (Note that they look gold in the photo, but they are in fact aluminum.) With this combo unit, everything stays together in one convenient package. All units are manufactured under the ISO9001 Quality Management System. 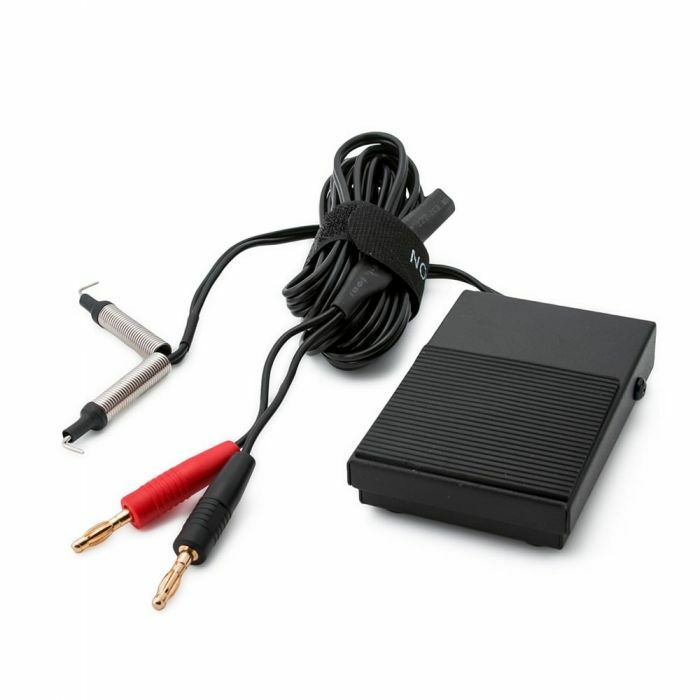 Use these combo tattoo foot pedal and clip cord units with any of our high-tech Precision power supplies. Please Note: This Foot Pedal with Banana Plug ends is compatible with select Precision power supplies. Please view the list of compatible power supplies below for reference.